The most common way to build flatpak is using a tool called flatpak-builder. This is a tool that takes a higher level description of the sources that go into an application and generate the build commands to build it. This description is called a manifest, and is traditionally a JSON file. JSON is very common in the web world, and it is a well known format that have many implementations. However, it is not really great for humans to write. For example, JSON has no support for comments, which you typically want in something as complicated as a build script. There are ways to work around this, but it is not pretty. The syntax, while easy for a machine to parse, is very verbose and noisy to read and picky to write. For example, all lists have to be comma separated, but you can’t have a trailing comma, which you often run into when deleting or moving items around. Also, both keys and values always have to be quoted, which feels pretty unnecessary for the simple one-word keys and values that are common case in manifest files. Starting in flatpak-builder 0.10.10 you can now also use YAML for manifests. In term of the content model, YAML is a superset of JSON, but it is easier for humans to read and write. This makes it a good fit for flatpak-builder. In fact, the implementation internally just converts the YAML parser nodes to JSON parser nodes. Yesterday I enabled support in flathub, so you can now convert existing apps, or submit new apps using YAML. This is clearly the same content as above (except it has a comment), but shorter and more readable. For a longer example, see this conversion of a flathub app. Of course, YAML is not perfect. Its a pretty complex format, it relies on indentation, and the specification has historically been a bit vague with implementations sometimes differing in interpretation. Going forward both JSON and YAML will be supported (and can even be mixed when you use includes), allowing you to chose what works best for you. Last week I finally migrated the last app from the gnome stable application flatpak repo to flathub. The old repo is now deprecated and will not get any new builds. In the future, all stable flatpak builds of gnome apps will be on flathub only, so make sure you add it as a remote. There are a lot of apps on flathub now, have a look. And if your application is not there but you’re interested in adding it, please check out the flathub docs. I used to maintain two custom repositories of flatpaks for spotify and skype. These are now at flathub (in addition to a lot of other apps), and if you were using the old repository you should switch to the new one to continue getting updates. This is easiest done by removing the current version and then following the directions on the flathub site for installing. We saw previously that you can open up the Flatpak sandbox in order to run applications that are not built to be sandboxed. However, the long term plan is to make it possible for applications to work sandboxed, and then slowly make this the default for most applications (while losing little or no features). This is a work in progress on many levels, we need work on Flatpak itself, but also on the Linux desktop platform and the applications themselves. So, how do we reach this long-term goal? Some things were mentioned in earlier parts. For example, once we have a realistic shot at sandboxing we need to make the permissions more visible in the UI, and make it easier to override them. We also need to drop X11 and move to Wayland, as well as finish the work on PulseAudio permissions. However, the really important part is being able to have dynamic, fine-grained permissions. This is achieved with something we call Portals. A Portal is a service that runs on the host, yet is accessible from the sandbox. This is ok because the interface it exposes has been designed in order to be “safe”. So, what makes a portal safe? Lets start with a very simple portal, the Network Monitor portal. This service returns network connection status (online/offline) and signals when it changes. You can already get the basic status from the kernel even in the sandbox, but the portal can use Network Manager to get additional information like whether there is a captive portal active, and if the network is metered. This portal looks at whether the calling app has network access, and if so allows it to read the current status, because this information could already be collected by the app manually (by replicating what network manager does). The portal is merely a more efficient and easy way to do this. The next example is the Open URI portal. The application sends a request with a URI that it wants to be shown. For instance you could use this for links the user clicked on in the application, but also to show your application documentation. We don’t want the sandbox to be able to start apps with caller-controlled URIs in the background, because that would be an easy way to do attack them. The way we make this safe is to make the operation interactive and cancellable. So, the portal shows a dialog, allowing the user to select the app to open the URI in, or (if the dialog was unexpected) close the dialog. All this happens outside the sandbox, which means that the user is always in control of what gets launched and when. A similar example is the FileChooser portal. The sandbox cannot see the users files, but it can request the user to pick a file. Once a file is chosen outside the sandbox, the application is granted access to it (and only it). In this case too it is the interactivity and cancellability that makes the operation safe. Another form of portal is geolocation. This is safe because the portal can reliably identify the calling application, and it keeps a list of which applications are currently allowed access. If the application is not allowed it replies that it doesn’t know the location. Then a UI can be created in the desktop to allow the user to configure these permissions. For instance, there can be an application list in the control center, or there could be a notification that lets you grant access. Theoretically any kind of service designed in this way could be called a portal. For instance, one could call Wayland a UI portal. However, in practice portals are dbus services. In fact by default Flatpak lets the sandbox talk to any service named org.freedesktop.portal. * on the session bus. The portals mentioned above are part of the Desktop portal, xdg-desktop-portal. It is a UI-less, desktop-independent service. But for all user-interaction or policy it defers to a desktop-specific backend. There are currently backends for Gtk and (work in progress) KDE. For sandboxing to work these need to be installed on the host system. There is also a portal shipped with flatpak, the Document portal. It’s permissions based, and is what the FileChooser portal uses to grant access to files dynamincally on a file-by-file basis. 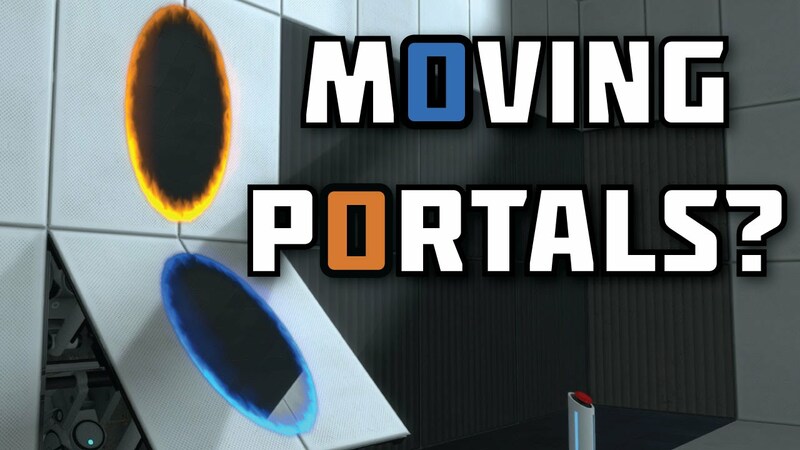 We are also planning to add more portals as needed. For instance we’d like to add a Share portal that lets you easily share content with registered handlers (for instance posting text to a Twitter or Facebook app). The flatpak security model – part 2: Who needs sandboxing anyway? The ability to run an application sandboxed is a very important feature of flatpak. However, its is not the only reason you might want to use flatpak. In fact, since currently very few applications work in a fully sandboxed environment, most of the apps you’d run are not sandboxed. In the previous part we learned that by default the application sandbox is very limiting. If we want to run a normal application we need to open things up a bit. Every flatpak application contains a manifest, called metadata. This file describes the details of the application, like its identity (app-id) and what runtime it uses. It also lists the permissions that the application requires. By default, once installed, an application gets all the permissions that it requested. However, you can override the permissions each time you call flatpak run or globally on a per-application basis by using flatpak override (see manpages for flatpak-run and flatpak-override for details). The handling of application permissions are currently somewhat hidden in the interface, but the long term plan is to show permissions during installation and make it easier to override them. So, what kind of permissions are there? First apps need to be able to produce output and get input. To do this we have permissions that allow access to PulseAudio for sound and X11 and/or Wayland for graphical output and input. The way this works is that we just mount the unix domain socket for the corresponding service into the sandbox. It should be noted that X11 is not very safe when used like this, you can easily use the X11 protocol to do lots of malicious things. PulseAudio is also not very secure, but work is in progress on making it better. Wayland however was designed from the start to isolate clients from each other, so it is pretty secure in a sandbox. But, secure or not, almost all Linux desktop applications currently in existence use X11, so it is important that we are able to use it. Another way for application to integrate with the system is to use DBus. Flatpak has a filtering dbus proxy, which lets it define rules for what the application is allowed to do on the bus. By default an application is allowed to own its app-id and subnames of it (i.e. org.gnome.gedit and org.gnome.gedit. *) on the session bus. This means other clients can talk to the application, but it can only talk to the bus itself, not any other clients. Its interesting to note this connection between the app-id and the dbus name. In fact, valid flatpak app-ids are defined to be the same form as valid dbus names, and when applications export files to the host (such as desktop files, icons and dbus service files), we only allow exporting files that start with the app-id. This ties very neatly into modern desktop app activation were the desktop and dbus service files also have to be named by the dbus name. This rule ensures that applications can’t accidentally conflict with each other, but also that applications can’t attack the system by exporting a file that would be triggered by the user outside the sandbox. There are also permissions for filesystem access. Flatpak always uses a filesystem namespace, because /usr and /app are never from the host, but other directories from the host can be exposed to the sandbox. The permission here is quite fine grained, starting with access to all host files, to your home-directory only or to individual directories. The directories can also be exposed read-only. The default sandbox only has a loopback network interface and thius has no connection to the network, but if you grant network access then the app will get full network access. There are no partial access for network access however. For instance one would like to be able to set up a per-application firewall configuration. Unfortunately, it is quite complex and risky to set up networking so we can’t expose it in a safe way for unprivileged use. There are also a few more specialized permissions, like various levels of hardware device access and some other details. See man flatpak-metadata for the available settings. All this lets us open up exactly what is needed for each application, which means we can run current Linux desktop applications without modifications. However, the long term goal is to introduce features so that applications can run without opening the sandbox. We’ll get to this plan in the next part. Posted on January 20, 2017 January 24, 2017 Categories General6 Comments on The flatpak security model – part 2: Who needs sandboxing anyway?